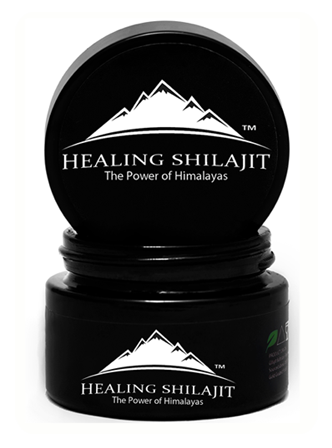 People who are in interaction with the nutraceuticals definitely know the amazing impact of ‘Himalayan Shilajit’. They know that this particular supreme herb is a fantastic testosterone booster. Modern scientific research has recognized ‘Himalayan Shilajit’ as a natural, safe and effective supplement for promoting and rejuvenating male reproductive health. It is also considered as a wonderful herb for boosting the levels of testosterone. Majority of the industry insiders have realized and accepted the benefits of ‘Himalayan Shilajit’ and see it as great sport nutrition for male health applications. There are different kinds of supplements and similar products available in the market. People use such boosters to deliver their best in various sport activities. Studies and experiments have shown that the Himalayan Healing ‘Himalayan Shilajit’ works just as a miracle in sports nutrition. Luckily folks have now understood this fact and have started thinking about the usage of pure ‘Himalayan Shilajit’ which comes from the highest peaks of Himalaya. Testosterone is considered to be the main thing in male health and that’s the reason why it is the key component when it comes to athletic performance. 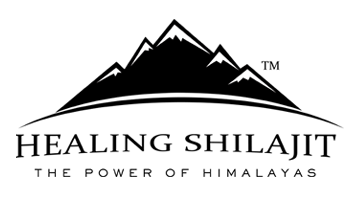 ‘Himalayan Shilajit’ has shown its impressive results and athletics have found it an incredibly awesome herb for the ultimate performance. After confirmation from the scientific studies, athletes tend to use Shiljat more than any other supplement. It is worth knowing that ‘Himalayan Shilajit’ is not of the same quality across the globe and its class changes from place to place. However, the Himalayan healing ‘Himalayan Shilajit’ is the purest of all, delivering the maximum health benefits to its users. Due to the discrepancies found in ‘Himalayan Shilajit’ supplements, people have observed dissimilar results which are not consistent all the time. This fact has been acknowledged by researchers. Having said that, scientists have also discovered the utilization of ‘Himalayan Shilajit’ in a few different sports applications including the following ones. If you are a sportsperson and get to know different things about the nutraceutical industry, then you must have heard of Nitric Oxide boosters. Nitric oxide is known to function as a vasolidator; it has a wonderful ability to dilate the blood vessels. Due to dilation of the blood vessels, blood flow is increased up to a great extent. In this way, a sportsperson feels more confident and powered for a long time and the chances of getting exhausted are lessened. Feeling energized and physically powerful is something that every fitness enthusiast and athlete longs for. Himalayan healing ‘Himalayan Shilajit’ has amazing results for enhancing physical performance of athletes. According to one study, just 200 mg/d ‘Himalayan Shilajit’ was given to a group of volunteers and they experienced a massive 13 percent increase in their ATP or adenosine triphosphate levels. Collagen is considered to be the sturdiest connective fibers available in the human body. It plays an important role in the strength and elasticity of human muscle cells. ‘Himalayan Shilajit’ allows collagen to work more efficiently and plays a key role in strengthening the skeletal muscle.